Building on my initial success with learning to wakesurf, the following day I got some more practice and found it to be easier and easier. I’m still no pro, but I managed to stay up for an entire minute on at least one run, and I even dared to cross the wake! This turned out not to be as tricky as I thought. 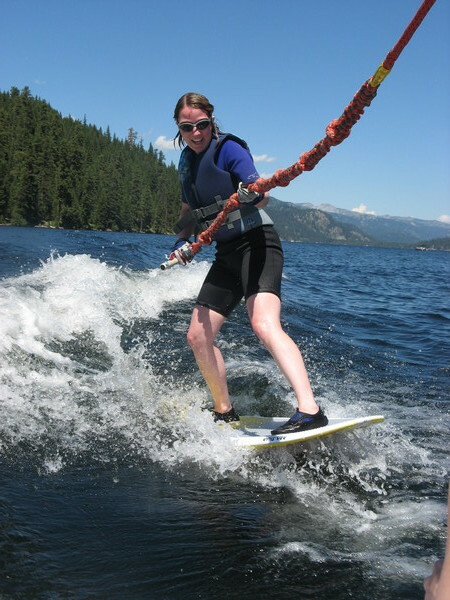 I just leaned a little back into my heels, the board climbed up onto the wake, and I held tightly to the rope while froth rushed over my ankles. Then I dipped into my heels again and the board slid down the far slope into the other side of the wake. The trick was to do all of this gradually without overcorrecting for the slope changes! My posture and confidence have both improved a bit, and I’m doing much better at keeping slack in the rope. I was even able to let go with one hand and wave at the boat! 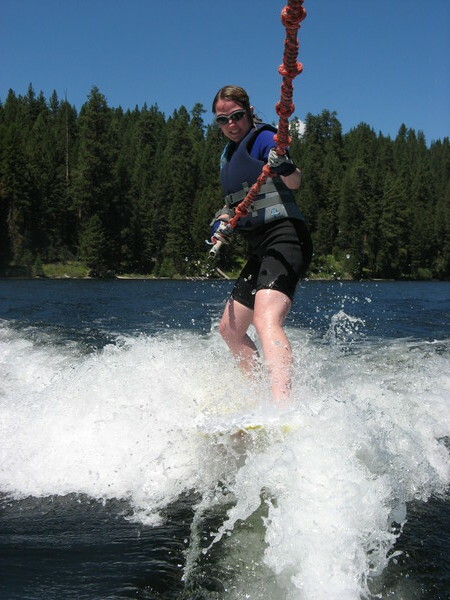 The idea ultimately is to be able to let go of the rope entirely and just surf on the wake behind the boat. The rope isn’t really towing you anyway (except atop the wake where there’s no wave to ride down); it’s just there for balance and positional correction. I did get to see the no-rope version performed, and I’d love to get to that point myself! It’s fascinating to see the balance in forces between the rider’s weight on the board pushing down and the rush of the wake-wave curling up. But first I need to be able to start on my own… to date I’ve still had someone holding the board steady for me during those first critical seconds of getting onto the water. But I think that may be an achievable goal! 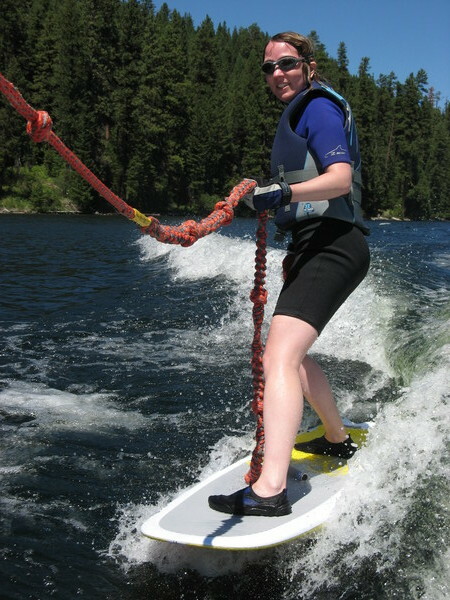 No-rope wakesurfing… that’ll take a lot more practice.